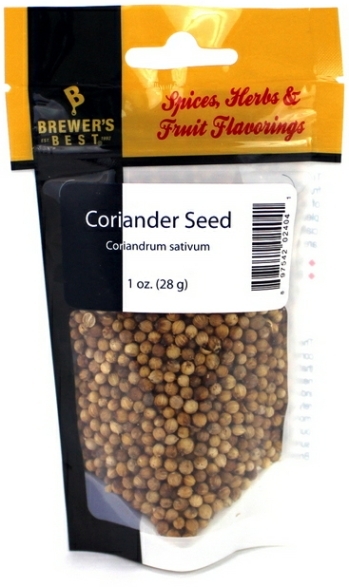 Coriander seed provides a complex nutty and citrus flavor that works particularly well in lighter beer styles. Combined with dried orange peel, it makes the spicy character found in Belgian Witbier. The dried seeds should be lightly crushed before use.